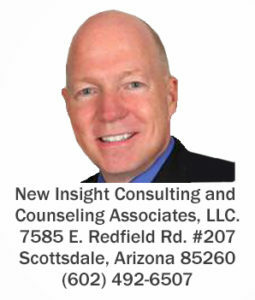 Areas of Specialty – New Insight Consulting and Counseling Associates, L.L.C. If you are experiencing any of these issues below contact me. You don’t have to suffer alone. Help is available. Would you like some help? Contact us for a free 15 minute phone consultation. Click here, fill out the form below, or call (602) 492-6507.